Description:This is the one that started it off. 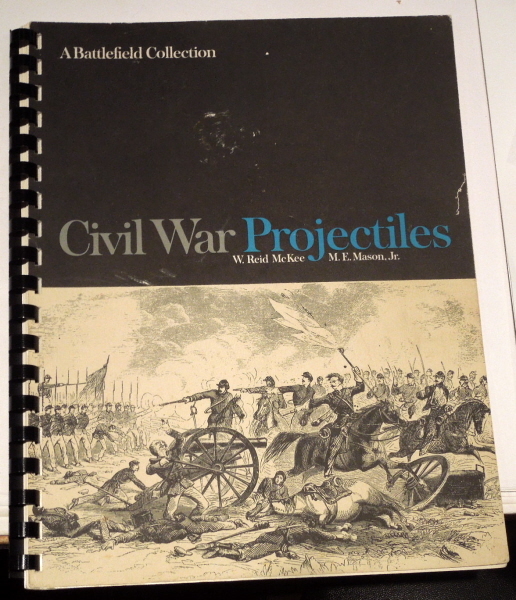 Before there was a hardbound book or Civil War Projectiles II, there was the original Cerlox bound edition. I think only 100 were printed and they were quickly bought up which gave Mac and Reid the courage to push for a hardbound copy, and the rest is history! If you are a serious leadhead, this book is a must. There are some bullets in here not in other books, but more importantly, it is the start of the taxonomy that defines the hobby and on whose shoulders future works were able to see further. Book is in remarkably nice condition for its age and type of manufacture.